ST. JOHN’S, NL – Yellowbelly Brewery has announced the release of a new beer brewed using a tart berry that is native to Newfoundland. 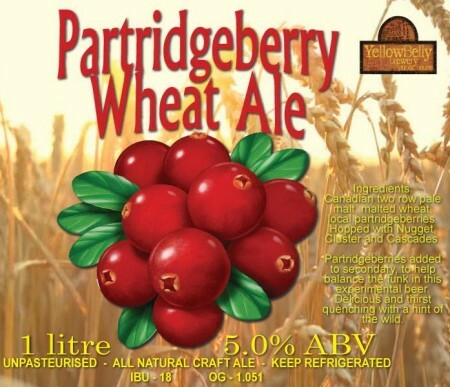 Partridgeberry Wheat Ale is available now on tap at the YellowBelly brewpub, and in growlers at the YellowBelly Takeaway. 1 litre bottles will be available at the Takeaway tomorrow, and select NLC locations on Friday April 20th.